If you have been looking for solar water heating systems, by now you could be overwhelmed with the amount of options available to you. Many people do not believe solar water heating can work in Canada or colder USA climates as it is so cold during winter. In fact solar water heating works incredibly well even during the -40 deg C days that are all too common in a lot of Canada and Northern USA. How many BTUs can the collectors produce! - This is a question that is asked a lot. The answer is not that simple. It really depends on where you live. Anyone telling you "our collectors produce???? BTUs per hour" needs to tell you where they are doing the test as it totally depends on the climate where you live. If you live in Vancouver the amount of solar energy is certainly less than if you live Victoria on Vancouver Island. 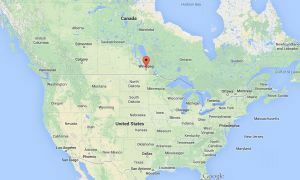 The Prairies and Midwest USA tend to have the most amount of sunlight on average. The amount of BTU any collector can produced is based on the amount solar radiation that is present per day at that location. 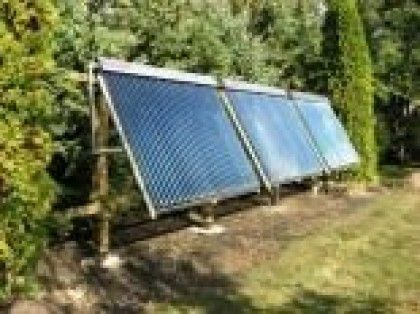 Evacuated tube solar collectors are in general ideally suited to the Colder Canadian and US Climates. This is because the "evacuated tube" is essentially like the double glazing in your home. The double glazing helps your home stay warmer by keeping the heat in your home, it does a similar thing for the evacuated tube solar collectors. Our solar water heating systems have been pre-engineered for maximum performance, safety and reliability. Our residential solar water heaters are sold as complete packaged kits ready for final installation by the home owner. We take the guess work out of solar water heating by selling systems that are designed to work together. This means your system will arrive with every part you will need to install it completely. No visits to the hardware store are needed! The other advantage or our pre-packaged solar water heating systems are that you do not need a licensed solar installer to install the systems. These DIY residential solar water heaters have all the instruction clearly laid out for the average home owner to tackle as a weekend project. Our Solar Packages have gone through an engineered modelling process by Swedish company Vela Solaris, the world's leader in solar simulations software. Each of our systems have been tested and modelled to provide performance outcomes based on the annual solar radiation values for any given coordinate on the planet. By inputting the location we have access to the daily average weather including temperature, wind speed, solar radiation, to name a few. This allows us to simulate performance results that are within 5% accurate! 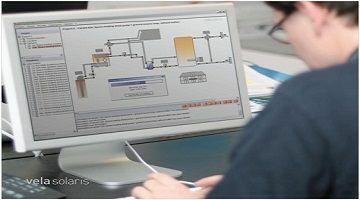 We offer this service to our customer Free of charge simply fill out a solar simulation request form and we will get back to you with the recommended design, sizing and show you the actual BTU or KW that the system is expected to save annually. This FREE report will allow you to decide, if the investment into solar water heating versus your existing energy cost is right for you. For our pre-packaged solar water heating designs we can't provide individual detailed plumbing diagrams after our system. This is because every house is different, including the type and size of piping you have. Our systems are 100% standard and this allows us to provide you with full support on any technical questions regarding our system. A lot of questions we have already been asked are listed in the Solar School. Please read these and if you cannot find the answer to your question then email us and we will see if we can answer the question for you. Please don't email us photos of your mechanical room and hope we can tell you what size tanks you can fit into it and where the pipes should go, our lawyers have said we cannot offer this kind of advice! We only supply Evacuated Tube Solar Collectors. These have been designed over years of trial and error and they generally produce much more efficiently than Flat Plate Collectors in Canadian Climates. The Flat Plate Collectors used to have the advantage of being cheaper to make, and hence the initial cost seemed lower to install a system, however we can now supply Evacuated Tube Collectors at prices less or equal to that of the Flat Plate Collectors. However the big advantage is that in Cold and Cloudy Climates the evacuated tube collectors can produce many times the heat. Don't take our word for it! Look at the SRCC web site and compare test reports, they can show Evacuated Tube Collectors will produce up to 12 times the heat than a Flat Plate Collector. See the Solar School for more information. Our collectors produce the best cost per BTU of any 30 tube vacuum collectors in North America. 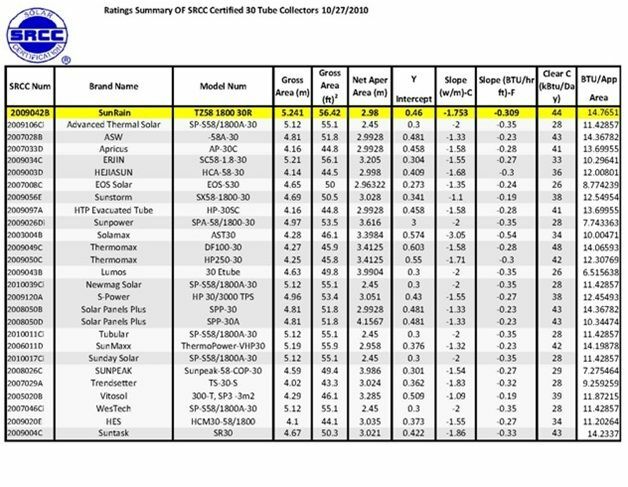 This table shows the output of our collectors of our SunRain TZ58 1800 30R collector compared to other 30 tube solar vacuum collectors. This data was produced by SRCC North Americas solar testing and certification body. The SRCC is one of the very few independent ways of accurately comparing different collectors. When you compare other companies solar collectors ASK what the maximum power output is from the test Report. 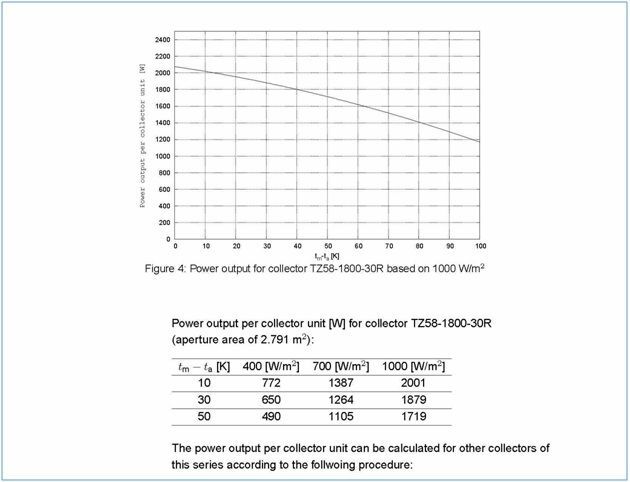 Our collector test report shows that they have a max power output of 2100 Watts. This curve below is the tested efficiency report of a SunRain TZ58 1800 30R collector. Notice the downward slope. This slope exists on every solar collector. The steeper the slow the less the solar collector will perform in cold temperatures. As an example at a temperature differential of 100 degrees C. or 208F, our collectors will still produce approx. 1200 Watts or 1.2 Kw. This is very important! If you are heating water to 60 C and it is -40 C outside or a difference of 100 C, these collectors are still able to produce about 1200 Watts per hour (delta of 100 C intersects at 1200 on the curve). According to SolarBC the average cost of a Domestic Solar Hot Water System is $6700. This is a very broad average, a lot depends on the size of the house, and how many panels you need, access from the roof to the mechanical room, condition of the roof, and do you need a new water tank and/or a new hot water boiler. These are some of the variables that you may encounter. 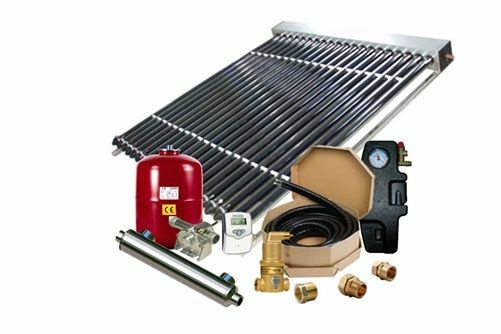 Our DIY Solar Water Heating Kits are designed to be the most cost effective residential solar water heaters in North America. Quick installation time saves you costs. Great performance increases the ROI. Long life expectancy secures your investment. 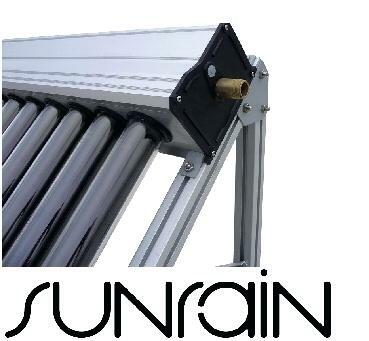 Our SunRain 30 tube solar vacuum tube collectors cost about $1250 each. The rest of the costs are tanks, piping, insulation, heat exchangers, glycol, valves, Solar Controllers and Pumps and of course any time to install the system. However once installed you can double your output simply by purchasing another collector. So for an additional $1250 you have doubled the output of your system in most cases. 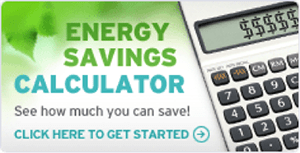 More often than not, if you find a cheaper solar collector for sale, ask what the Peak Power output is in Watts! it is likely to be very low when compared to the SunRain Solar Collectors producing 2.1 Kw Peak performance.